If there was one vacation that I could continue to have every time I traveled, it would be to Provence France. Actually, scratch that, if I ever win the lottery and have money for a second home, I would choose Provence. A vacation is simply not enough time to capture the essence of "French country living". I'm not going to lie, planning our trip to Provence was a really hard task. 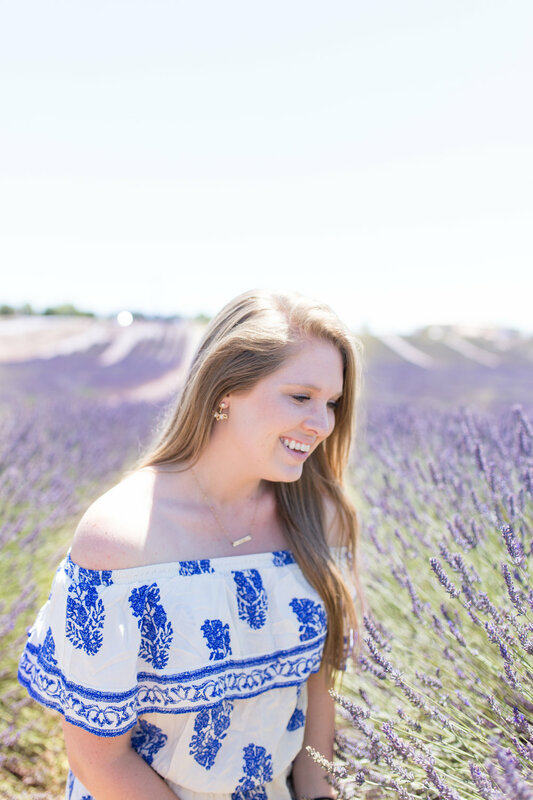 I did SO much research (and stalking Instagram) to see where we should go within the area and what the peak season to catch a glimpse of the lavender was. I knew that we would be there during the very end of lavender season, but I hoped and prayed that it wouldn't be harvested until AFTER we left. (We had a scheduling conflict the two weeks before we went, otherwise, I would've bumped up our trip). The second our train arrived in Provence from Paris, we went straight to the fields! 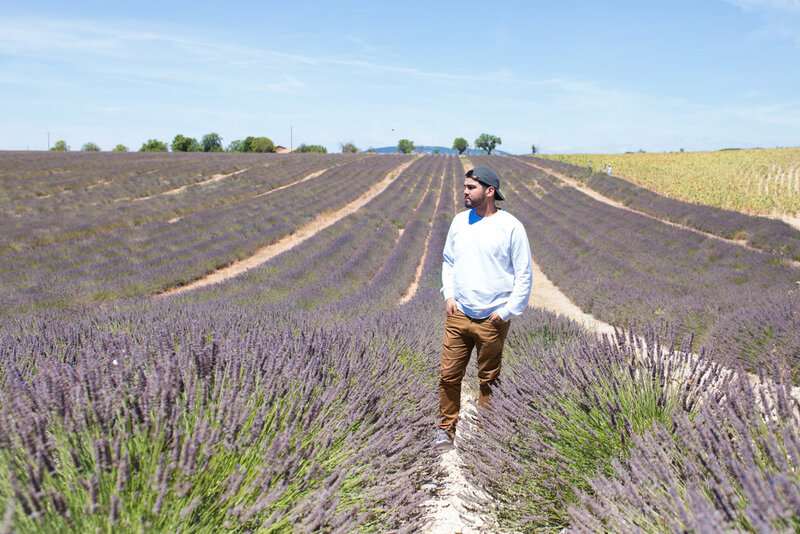 The drive throughout the Luberon region is absolutely beautiful and it was so amazing to smell the lavender as you drive through. We passed a smaller/local lavender field right outside of the train station, and I seriously think I screamed out loud! The scent comes through the air vents of the car before you even see the field ahead. Now, I recommend you go smell a lavender candle or soap while you read this blog so that you can get the full experience. Once we got there, I was kicking myself for not bringing wine, cheese, and a baguette to enjoy in the middle of the fields! So after we left the fields, we stopped at a local market for a baguette, jam, and salami as we drove to our Airbnb. Not quite the picnic that I had in mind, but it was just as yummy and a great welcoming to Provence! My next blog post will showcase all of the wonderful towns that we experienced as well as the most charming and romantic Airbnb that is the quintessential example of a traditional Provence home! 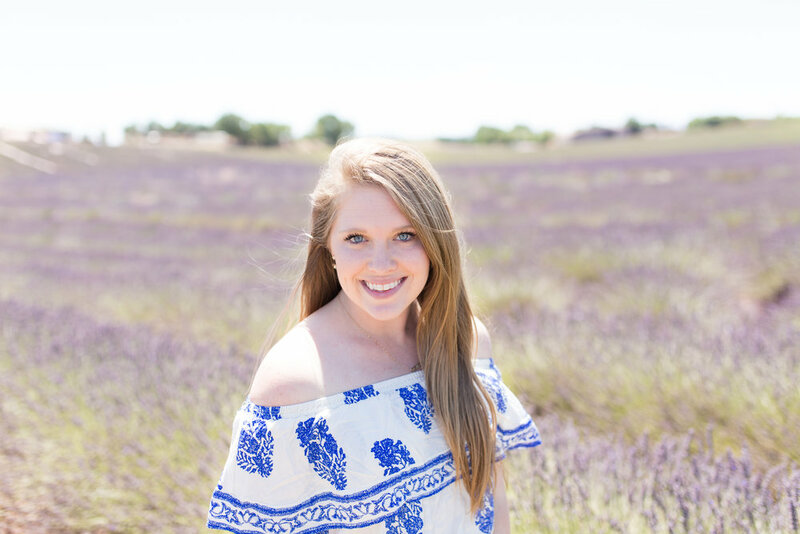 (Think blue shutters, roses, hydrangeas, cypress trees, lavender, and olive trees) Stay tuned....you don't want to miss it!